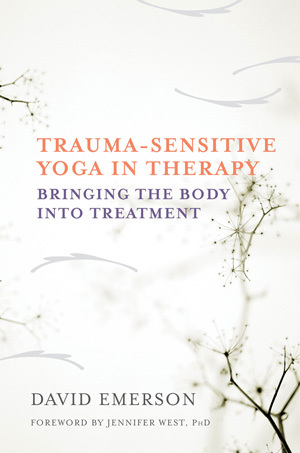 This practical guide presents the cutting-edge work of the Trauma Center’s yoga therapy program, teaching all therapists how to incorporate it into their practices. When treating a client who has suffered from interpersonal trauma—whether chronic childhood abuse or domestic violence, for example—talk therapy isn’t always the most effective course. For these individuals, the trauma and its effects are so entrenched, so complex, that reducing their experience to a set of symptoms or suggesting a change in cognitive frame or behavioral pattern ignores a very basic but critical player: the body. In cases of complex trauma, mental health professionals largely agree that the body itself contains and manifests much of the suffering—self hatred, shame, and fear. Take, for example, a woman who experienced years of childhood sexual abuse and, though very successful in her professional life, has periods of not being able to feel her limbs, sensing an overall disconnection from her very physical being. Reorienting clients to their bodies and building their “body sense” can be the very key to unlocking their pain and building a path toward healing. Based on research studies conducted at the renowned Trauma Center in Brookline, Massachusetts, this book presents the successful intervention known as Trauma-Sensitive Yoga (TSY), an evidence-based program for traumatized clients that helps them to reconnect to their bodies in a safe, deliberate way. Synthesized here and presented in a concise, reader-friendly format, all clinicians, regardless of their background or familiarity with yoga, can understand and use these simple techniques as a way to help their clients achieve deeper, more lasting recovery. Unlike traditional, mat-based yoga, TSY can be practiced without one, in a therapist’s chair or on a couch. Emphasis is always placed on the internal experience of the client him- or herself, not on achieving the proper form or pleasing the therapist. As Emerson carefully explains, the therapist guides the client to become accustomed to feeling something in the body—feet on the ground or a muscle contracting—in the present moment, choosing what to do about it in real time, and taking effective action. In this way, everything about the practice is optional, safe, and gentle, geared to helping clients to befriend their bodies. With over 30 photographs depicting the suggested yoga forms and a final chapter that presents a portfolio of step-by-step yoga practices to use with your clients, this practical book makes yoga therapy for trauma survivors accessible to all clinicians. As an adjunct to your current treatment approach or a much-needed tool to break through to your traumatized clients, Trauma-Sensitive Yoga in Therapy will empower you and your clients on the path to healing.